With a history of 4500 years of cultivation behind it, you’ll find sprouted mung beans featured in Indian dishes and Asian stir fries. Also known as green gram or mung dal, they enhance the flavour of your dish with a nutty tang. Labelled as bean sprouts and sold in supermarkets and specialty food stores, these fast-growing green seeds offer an easy way to add fibre and protein to your diet. While plant foods are brimming with essential vitamins and minerals, they turn twice as nutritious when uncooked seeds are left to germinate. Sprouting reduces sugars that cause flatulence. Adding sprouted food ensures that your body absorbs maximum nutrients from each meal. How to sprout mung bean? Choose organic, fresh and whole mung beans. Measure out required amount and remove stones, weeds and sticks. Use clean sprouting tools like Mason jars, sprouting bags and bowls. Bean seeds expand and double in size while developing roots. One cup of raw seeds provides around two cups of sprouts. You can use jars or sprouting bags. Both these methods require wet seeds to be kept in a cool, dry area of your kitchen, preferably a pantry cabinet away from direct sunlight. Mung dal quantity – ½ to 1 cup of seeds to enable chutes to develop. Glass jars minimise fungus growth in your sprouts. Equipment – Bowl and wide-rimmed canning jar with screen lid. Or Mason jar with ring to secure mesh or cloth screen. Soaking – Rinse seeds well in cold water. Add to jar or bowl and pour 2-3 cups of water. Cover and place in a cool place for 8-14 hours (preferably overnight). Soak for 8-9 hours in humid weather. Drain and Rinse – Drain water from bowl or jar. Rinse beans with cold water. Gently swirl jar or bowl a bit before draining the water again. This allows air flow and gives seeds room to grow. Add wet seeds to jar (transfer from bowl) and cover with mesh lid or mesh cloth and ring. Place in a cool, dry place. Repeat this process for 2-3 times (once every 8 to 12 hours) on Day One. Seeds require at least 3 rinses in warm weather. This prevents bacterial or fungal growth. Drain and rinse – Repeat this technique on Days Two to Four, until your roots have grown to desired length. Sprouting bags provide better air circulation while seeds germinate. Equipment – Shallow bowl and a sprouting bag. Use eco-friendly bags made with linen, cotton, muslin or fine mesh. Soaking – Rinse seeds well and add to jar with 2 to 3 cups of cold water. Cover jar with mesh lid and soak seeds for 8-14 hours. Drain – Transfer water and seeds to sprouting bag or sack. Hang bag in a cool and dry place. Place a large bowl under it and let water drip from bag into it. Repeat process – Sprinkle fresh water on seeds, hang bag with wet seeds and allow excess water to drain off. Do this 2-3 times (every 8-12 hours) on first day. Multiple days – continue this sprinkle and drain process for 2-4 days, until chutes have grown to your liking. When will bean sprouts be ready to eat? After 2-3 days of rinsing and draining, seeds will develop ¾ to 1-inch long chutes. Add raw sprouts to salads, sandwiches and soups. Enhance your curry, stew, baked roll, casserole or and stir fry with sprouts. Storage – Use sprouts raw or cooked after the final rinse. Store in fridge for 3-5 days in an airtight jar or freezer bag. These are excellent sources of Vitamins A, B, E and F. In addition, they contain healthy amounts of natural oestrogen, magnesium, potassium, omega-3 and omega-6 fatty acids. Vitamin K is essential for effective blood clotting, to maintain bone density and to prevent calcium build-up of calcium in blood vessels. One cup of bean sprouts has 34 mg of this vitamin. High levels of Vitamin C (14 mg in one cup) and phytonutrients afford you protection against viral infections, common cold and flu, skin irritation and collagen damage. Iron is essential for strengthening your immune system, reducing fatigue and fighting infection. Women can meet 5% of recommended daily intake of iron with one cup of raw sprouts. For men, this works out to 12%. Folate is needed to produce red blood cells, maintain new cells, especially during childhood to puberty, and create DNA. Pregnant women require enough folate to ensure proper growth of their foetus. A cup of raw sprouts provides you with 16% of recommended daily intake. Bean sprouts also contain enough amounts of thiamine-B6 vitamin, which combines with folate to alleviate PMS symptoms in women. This easily digestible plant food can prevent constipation and IBS symptoms. Each cup of mung sprouts has 2.5 gm of protein (a healthy person requires 0.8-1.0 gm of protein per kg of body weight). Phytic acid and tannin in mung bean may help digestion and remove toxins from the body, while peptides can help regulate blood pressure. Amino acids, proteins and phytochemicals found in mung dal act as antioxidant, antitumour and anti-inflammatory agents. This can protect you from cancer, coronary heart disease, high blood cholesterol and ageing. Fibre, amino acids and polyphenols in bean sprouts can regulate sugar absorption. Regular intake of sprouts can help stabilise weight, and prevent Type 2 diabetes and obesity. According to Ayurveda, mung dal balances all the three doshas, heals the body and improves digestion. A word of caution: Raw mung sprouts could contain bacteria. Serve cooked, roasted or baked sprouts to small children, pregnant women and the elderly. If you’re recovering from an illness or weaker immune system, avoid consuming uncooked sprouts. 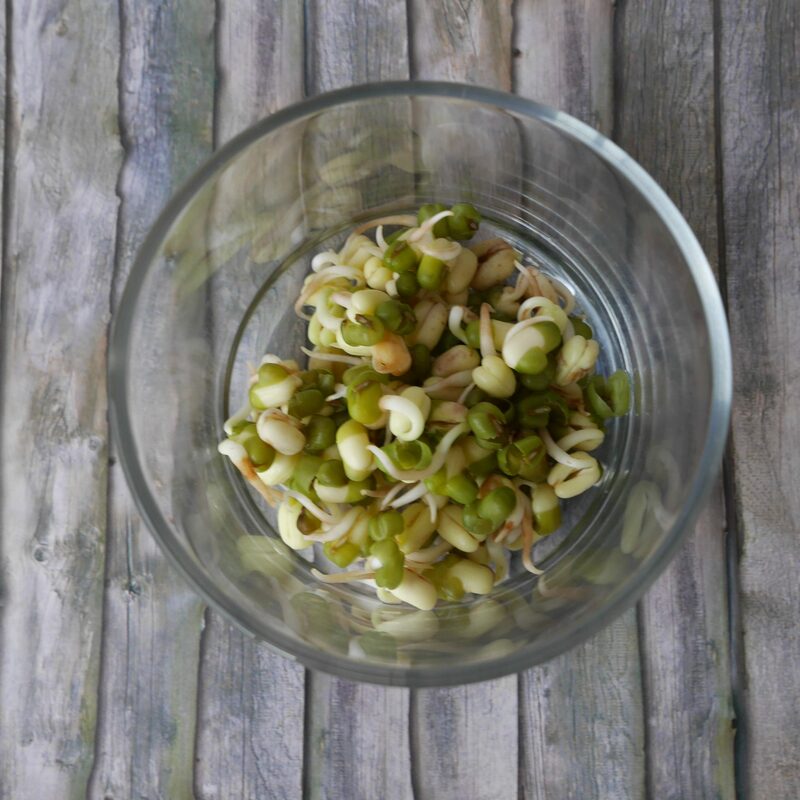 Have you tried sprouting mung beans or other sprouts at home? Tell us about your sprouting experiments in the comments below. This post is so helpful! Love growing my own produce. I didn’t realize mung beans had that many health benefits. I am going to try to sprout them and add more of them to my cooking. I’ve never heard of a mung bean before this post. Now I think they should be part of my diet. They’re so nutritious! 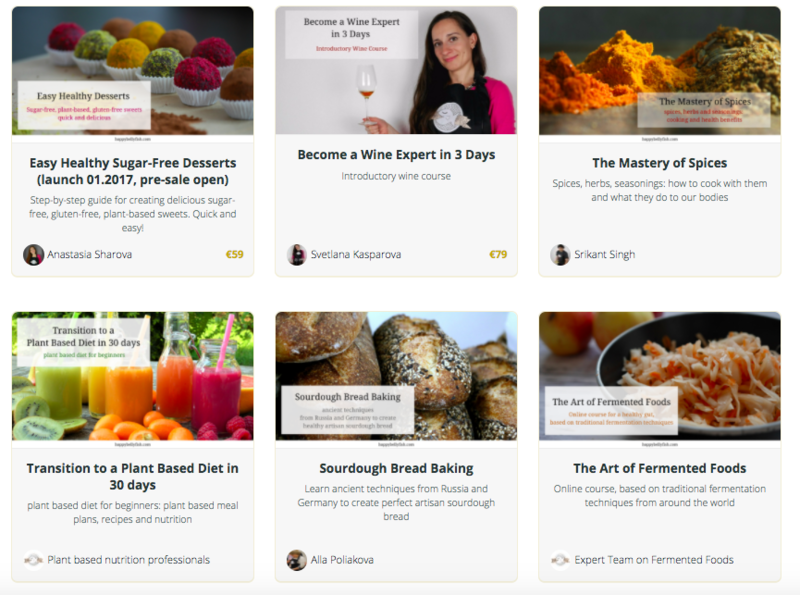 Thank you for sharing how to sprout my own! Oh I’ve only heard of mung beans from The Office before. May have to try this out! Oh wow I have never heard of mung beans before but the health benefits are amazing. I will definitely have to try them! My cousin is a health nut and she is always talking about mung beans and how healthy they are. I had no idea. 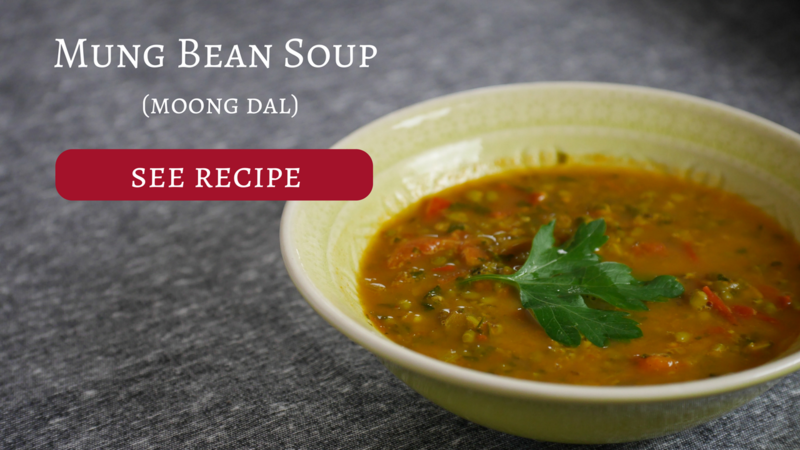 Great information in this article about them and I think I am going to try making the mung bean soup! This is really informative. I never knew about this. The sprouting bag looks so great. I may need to get one to try it. This is actually very interesting! I might take that up someday! I have never tried a mung bean that I know of. How would you eat them? I like other ways to get protein in. I have always love that nutty flavor in Indian cooking, but had no idea mung bean sprouts were responsible. Thank you for this detailed and easy-to-follow information. You certainly are making it easy to give these a try! This is so funny because I was just talking about doing this over the weekend. I would also like to try and grow broccoli sprouts! Mung beans are one of the most popular and commonly consumed beans in my country, that is, Pakistan. However, I wasn’t aware of its so many benefits until now 🙂 thanks for sharing this!! Although I love bean soup, I’ve never tried sprout mung beans before. I’ll have to check it out sometime. This was an informational post. I’ve never been a big fan of beans and had no idea they were filled with so many health benefits.